Series 60 users beware. Kaspersky Labs has just discovered the Troja-SMS.Symb.OS.Viver which is the first Trojan for the S60 OS. It can easily be downloaded from the Net and unknowingly installed in your phone. Users may download it unknowingly as the trojan could be labeled anything from a picture editing software to a codec of some kind. The Viver virus has been specially designed for the S60 Smartphone OS. What it primarily does after being installed, is send out SMSes from your phone to premium SMS numbers, the ones that cost more than just 50 paise or 1 buck. India's first Hindi Podcast site. India's first podcast site was launched recently targeting the hindi speaking audience in the country . The brainchild of Maharashtra based blogger duo Debashish Chakrabarty and Shashi Singh Podbharti looks to provide a coverage of news and views about Indian language blogging, tools and technology, current affairs and the entertainment industry. Podbharti.com has also partnered with English Podcast The Indicast. 40 million VISTA sold till now. Microsoft Corp. has sold nearly 40 million Windows Vista licenses in the first 100 days that the latest version of the operating system has been available, Chairman Bill Gates said. Windows operating systems run on more than 95 percent of the world's computers and represent the Redmond, Washington-based company's biggest profit driver. Vista, which Microsoft introduced on Jan. 30, also marks the first major operating system upgrade in more than five years from the world's biggest software maker. 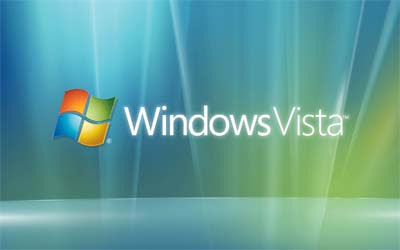 Gates said Windows Vista allows many niche-oriented PC functions to move into the mainstream, from Web cameras to various home remote-controlled items. Gates also said that the company named its next-generation Windows Server software—formerly known as "Longhorn"—Windows Server 2008. Microsoft, which controlled an estimated two-thirds of the global server software market in 2006, has said the product is on track to debut in the second half of 2007. Gates said Windows Vista and Windows Server 2008 will provide a platform for hardware innovations and drive increased demand for a wide range of new PCs and devices. Sony's own new nation-The VAIO nation. 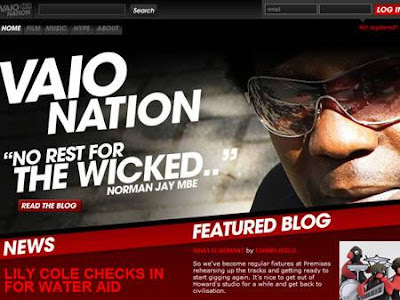 Sony launched its new social networking website giving more pressure on music and films.Sony named its new website as VAIO nation.Users will be able to add blogs on films and music and other members will be able to rate their profile. The website will also have news, reviews and comments about the content, from Sony’s in-house writers and critics. Later in the year Sony will be adding sections on fashion and design as well. Myspace to acquire Photobucket-internet's biggest online photo sharing website at a whooping $250 million. Photobucket functions as a free account for photo sharing and storing online.The 4 year old website has 42 million registered users till date and still increasing. The site was founded by two young telecoms engineers at Level 3 Communications Inc., Alex Welch and Darren Crystal. They came up with the idea of providing a simple, less commercial alternative to existing photo sharing sites.